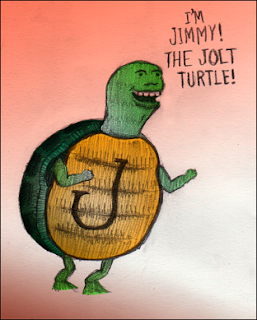 Eric Alessandrini Design and Illustration: Jimmy the Jolt Turtle! I know this is a pretty strange and poorly done little illustration, but it made me smile when I finished drawing him. Just try and look at him without smiling! Seriously. This will give me nightmares.